As indie-rock darlings Arctic Monkeys continue to gear up for the release of their first new album since 2013’s excellent AM, the band has been sprinkling tour dates—including their first headlining shows since 2014—about like breadcrumbs, distributing a few here and a few there. 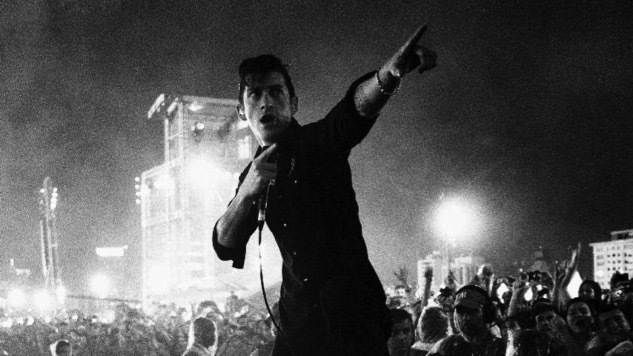 Today, Alex Turner and company announce a dozen-date North American run, with 11 stops in the States and one in Canada. The band will play L.A.’s Hollywood Forever Cemetery on May 5, headlining Dover, Del. fest Firefly in mid-June before hitting Nashville, Atlanta, New York City, Boston, D.C. and Toronto, among other cities, over the summer. According to a fan claiming to have spoken to Turner, the first single from Arctic Monkeys’ new album is due out “soon,” so stay tuned. Hopefully they won’t keep us in suspense much longer. Tickets go on sale this Friday, March 16 at 10 a.m. local time. You can find more info, plus the band’s full tour slate, on their website. See their newly announced North American dates below.